Hello, I have an ext4 drive - named Personal. I normally do keep my data such as wallpapers, songs, movies, books etc in it. I have confgured Rhythmbox to use Songs from Rhythmbox. But everytime, I logs into my machine, rhythmbox doesn't shw me thos songs. I have to manually mount the Personal drive by prviding password and then only I can use it. Is there any way to automount the drive at startup without providing password. Which password is it asking for? Your root password? If so, having this auto-mount at startup should be pretty easy. Your filesystems are declared through the config file /etc/fstab. If you look at the contents of that file, you'll find other entries in there. You just need to add an additional entry for your ext4 drive, much like the existing ones. Of course, your drive might not be /dev/sdc, so use its real device identifier, and /media/music might not be where you mount it - so use your real mount point. You can find additional help by doing man fstab from the command line. Or you can see the fstab man page here. Note, you need root privilege to edit fstab, so use sudo, or a command prompt with su -. I don't advise changing any other entries in that file until you're comfortable with what everything does, or you might cause your OS to fail to boot. 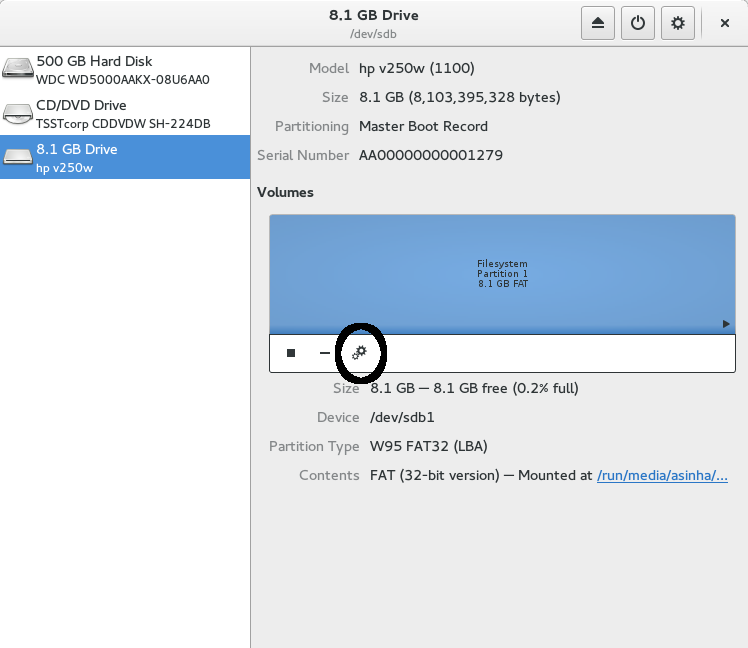 If this is Gnome 3, you can use the disks utility to set your drives to automount. Click the gears icon for the partition. It has an "edit mount options" menu item where you can configure it. This probably needs your user to be an administrator - but I'm not sure. I haven't checked this part.